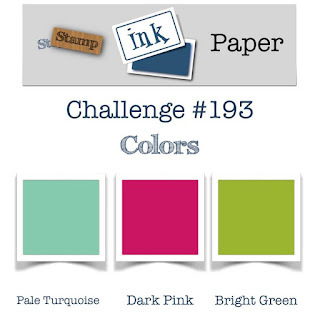 Welcome to this week's Stamp Ink Paper colour challenge. Here are our colours this week. They look fun, right! Here's my card featuring the Hibiscus flower from the Humming Along stamp set on a background of Gingham paper in the shade Granny Apple Green. The cardstock is Whisper White, Coastal Cabana & Lovely Lipstick. My flower has been coloured with Blender pens and has been die cut and popped onto of a the largest size in our Lots of Labels framelits. 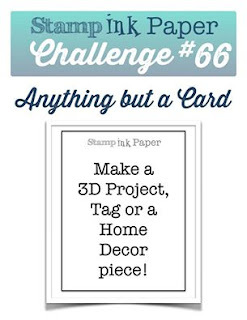 Thanks so much for joining us this week at Stamp Ink Paper. 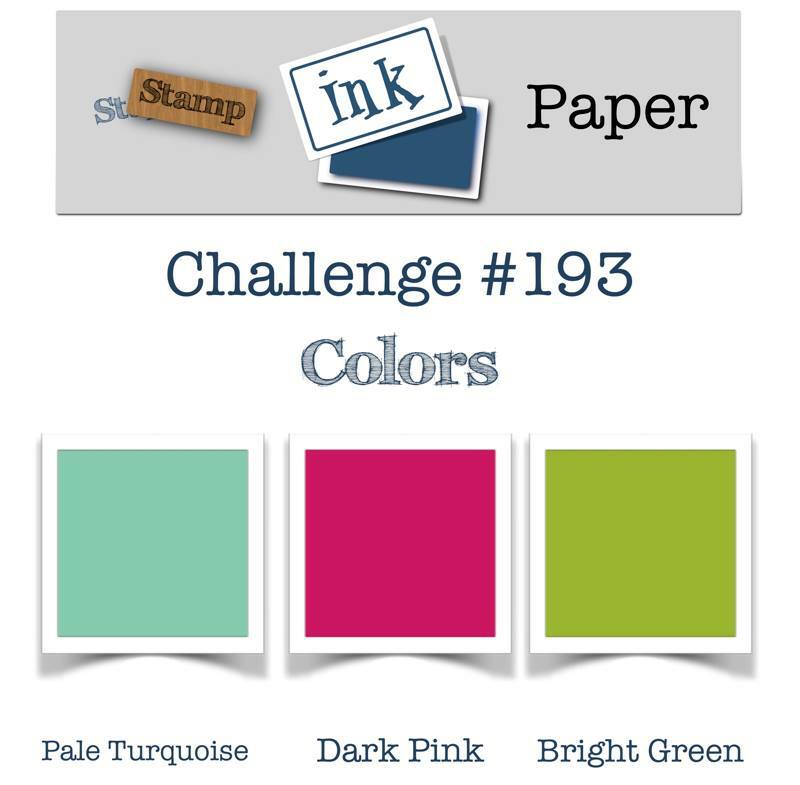 We are looking forward to seeing what you create with these fun colours.